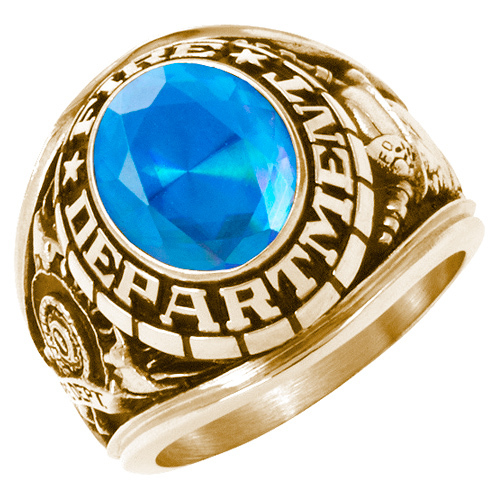 This firefighter ring offers your choice of oval stone color, wording around the stone and side emblems. Solid back ring is made of AmberXT. Handcrafted in the USA by Gold Lance. Inlay your encrusting on your stone. Choose an encrusting from the menu and it will appear below. Looks best with darker stones.